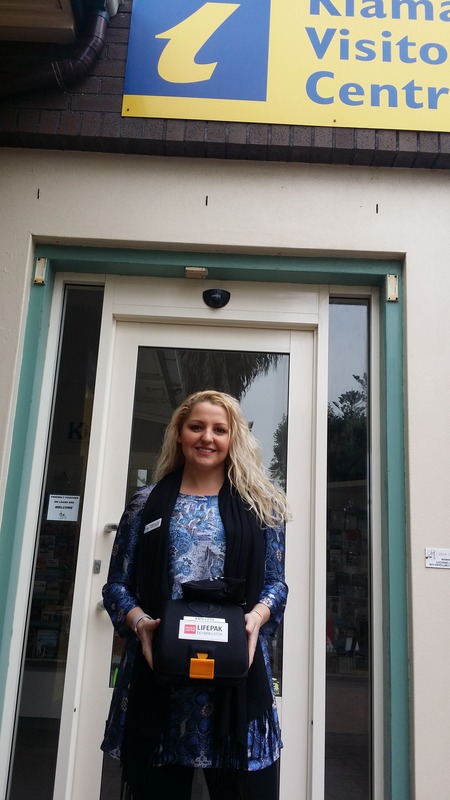 The Acting Manager of Kiama Tourism, Daniela Jolly, with the compact device. Lisa Kelsey is on maternity leave. 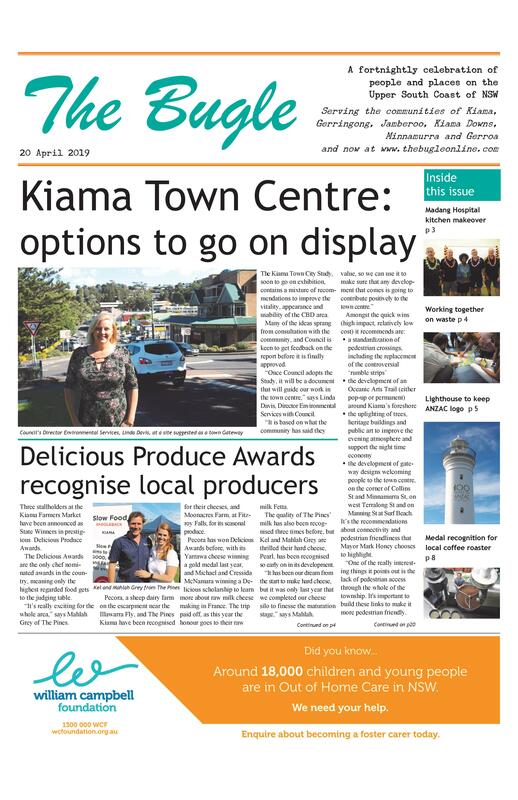 The Kiama and District Business Chamber has donated a defibrillator to the community. The device is located at the Kiama Visitors Centre, and staff have been trained in its use. The Centre has long been a first aid port of call for visitors and locals, so the Chamber saw it as the ideal location for emergencies. Defibrillators are available at other locations including the Pavilion, the ambulance station, surf clubs and other sporting facilities. The donation follows a recent donation by the Chamber of $3000 toward fairy lights for Collins St.